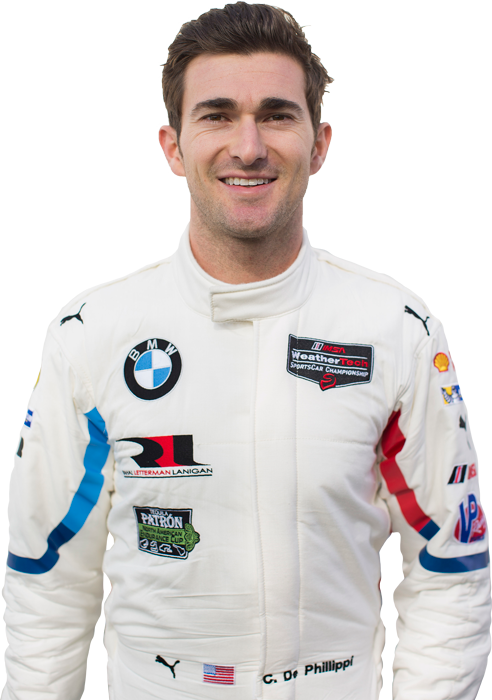 Like Bill Auberlen, the newest BMW Team RLL driver is a “California Kid”, but 25-year old Connor De Phillippi has done almost all of his racing thousands of miles from his San Clemente home. Basing himself in Europe for the last five years he climbed the European racing ladder in Porsche and Audi programs, honing his skills as a GT specialist. The gift of a racing go kart at age five set the course for De Phillippi. Winning 21 State and National karting titles by 2007, he moved to cars in 2008. Progressing through the Skip Barber and Star Mazda Championships, he made the move to Europe in 2012 as a Porsche Motorsport Junior. In 2016, he began to support Audi’s customer racing teams in the ADAC GT Masters Championship. In 2017, racing a Land Motorsport Audi, De Phillippi co-drove to a Nurburgring 24 win and closed the season with the Petit Le Mans (GTD) victory in the US.